Protect Your Family with a Carbon Monoxide Detector! Carbon monoxide is a serious threat to homeowners everywhere, one that you should do your best to protect yourself and your family from. The best way to do that is to make sure that you have a carbon monoxide detector installed in your home. The sooner you can be warned of a carbon monoxide leak, the sooner you can remove yourself from the situation until the issue is fixed. Right now, we’re offering a FREE carbon monoxide detector when you purchase and install a Bryant system from us! Contact us today to schedule an appointment with one of our professional technicians. Posted in Uncategorized | Comments Off on Protect Your Family with a Carbon Monoxide Detector! Douglas Cooling & Heating is Hiring! Looking for a new career? Interested in doing some real good for your community? Work with us! Douglas Cooling & Heating is looking to hire driven individuals to be technicians for us. Experience is a plus, but we place a very high importance on motivation. If you are interested in getting into the field, especially if you have experience, we want to hear from you! Have a look at our careers page, and let us know you’re interested! If you’re a good fit for us, we would be happy to provide on the job training. Posted in Uncategorized | Comments Off on Douglas Cooling & Heating is Hiring! Douglas Cooling & Heating Has Been Given the Expertise Award! 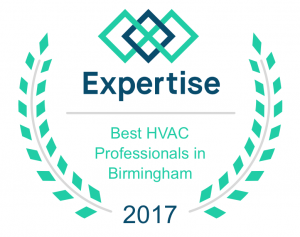 We are very pleased and honored to have been recognized by Expertise as the best HVAC professionals in Birmingham. Our professional technicians have earned this award for us, with the expertise they’ve garnered by working in the field since 1972. If you want to take advantage of our expertise, contact us today! Posted in Uncategorized | Comments Off on Douglas Cooling & Heating Has Been Given the Expertise Award! Be sure to bookmark the Douglas Cooling & Heating blog for updates on the latest advances in Plumbing, Electric, and HVAC technology. Call Douglas Cooling & Heating for all your air conditioning, heating, indoor air quality, water heater, electrical, sheet metal fabrication needs.